Hospitals can experience infestations from Cockroaches, Rodents, Flies, Bed Bugs or any other pest at anytime, and given how vulnerable some hospital patiants are to the diseases these pests carry, its imperative that these environments are kept pest free. Our customised Integrated Pest Management (IPM) programs will factor into account your floor space, daily operations, potential risk areas, regulatory needs and maintenance and sanitation practices to help stop pest problems before they start. Hospitals must meet strict health regulations, that’s why having an experienced and reputable pest control partner is vital in ensuring these regulations are met and patiants kept safe from pests. 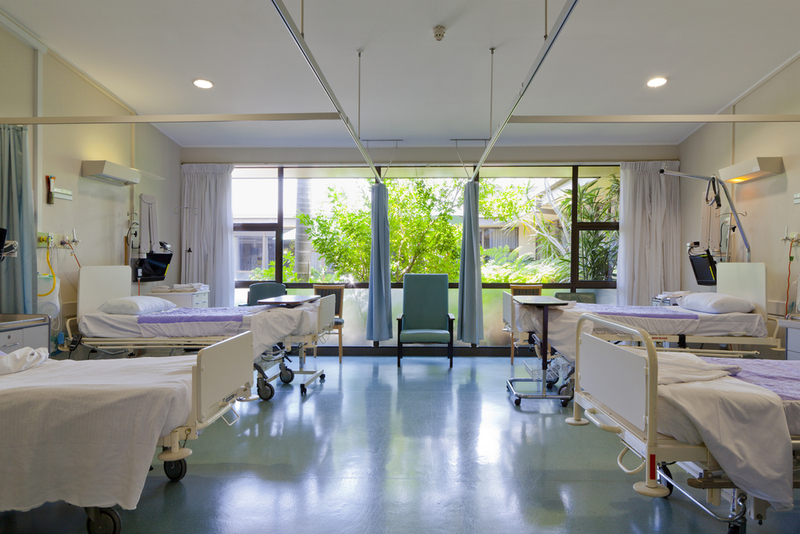 Australian Pest Specialists understands the importance of not only meeting the standards required to provide a pest free environment for hospital staff and patiants, but also misimising the risk of exposure to staff and patiants from chemicals. That’s why Australian Pest Specialists use only low toxicity and environmentally friendly products that are safe to use in this type of environment. Australian Pest Specialists are trusted and proven experts in Healthcare Pest Control with over 20 years experience. For a free consultation visit and full written report including recommendations, please call one of our friendly team on 1300 42 42 66.